Elder Noel Starblanket, a respected Indigenous leader, has passed away. Starblanket passed away early Monday morning in the company of his family. On Thursday, a public viewing will be held at the First Nations University of Canada from 12 to 2 p.m. followed by a wake at the White Calf Gym in Lebret at 4 p.m. There will be a funeral at 11 a.m. on Friday, also at the gym in Lebret. He passed at the Regina General Hospital, due to complications with diabetes. Starblanket was 72 years old. Starblanket was renowned for his leadership, and was respected as a champion for Indigenous peoples. He became Chief of Star Blanket Cree Nation in 1971, at the age of 24. Starblanket was the youngest chief in the country at the time. He was elected to the executive board of the Federation of Saskatchewan Indian Nations (FSIN), and was president of the National Indian Brotherhood, now known as the Assembly of First Nations, for two terms between 1976 and 1980. 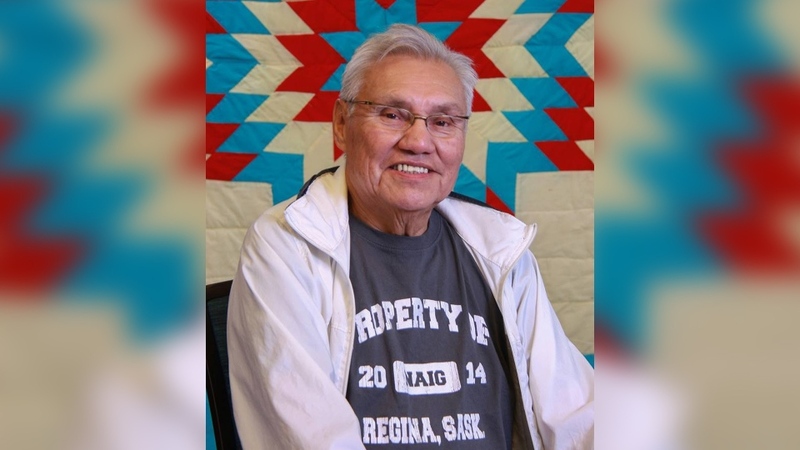 Later in life, Starblanket was the elder in residetnce at the University of Regina, where he shared teachings and spoke to students. Starblankets nephew said he's thankful for the wisdom and guidance he got from his uncle, and that he'll work to pass it on to others. "We're all human beings essentially," Wendell Starblanket said. "We all come from the creator, we all come from one another and that we all have to understand that we all have to have that respect for one another." He attended Lebret Indian Residential School, and had previously been raised by his grandparents on the Star Blanket Cree Nation. Based on a report by CTV Regina's Cally Stephanow. Photo courtesy of Bill Stevenson Photography.